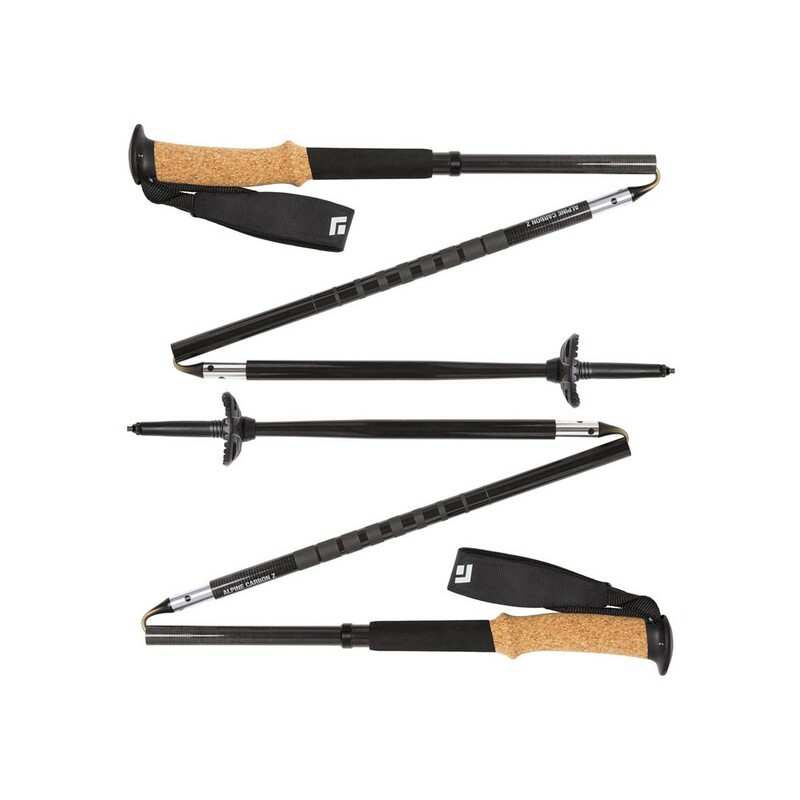 An incredibly durable four-season 100% carbon trekking pole by Black Diamond for ultralight mountain missions. 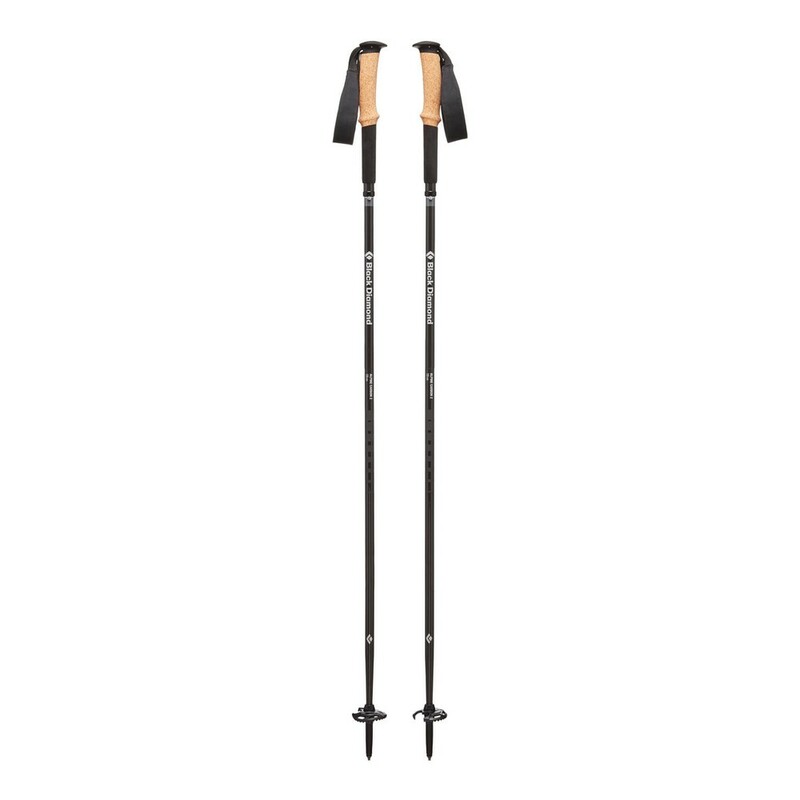 Updated for 2018, the Alpine Carbon Z now has improved joint support (30% stiffer) and increased durability, with an aluminium ring around the pole's top shaft to protect the carbon against the button in lock mode. 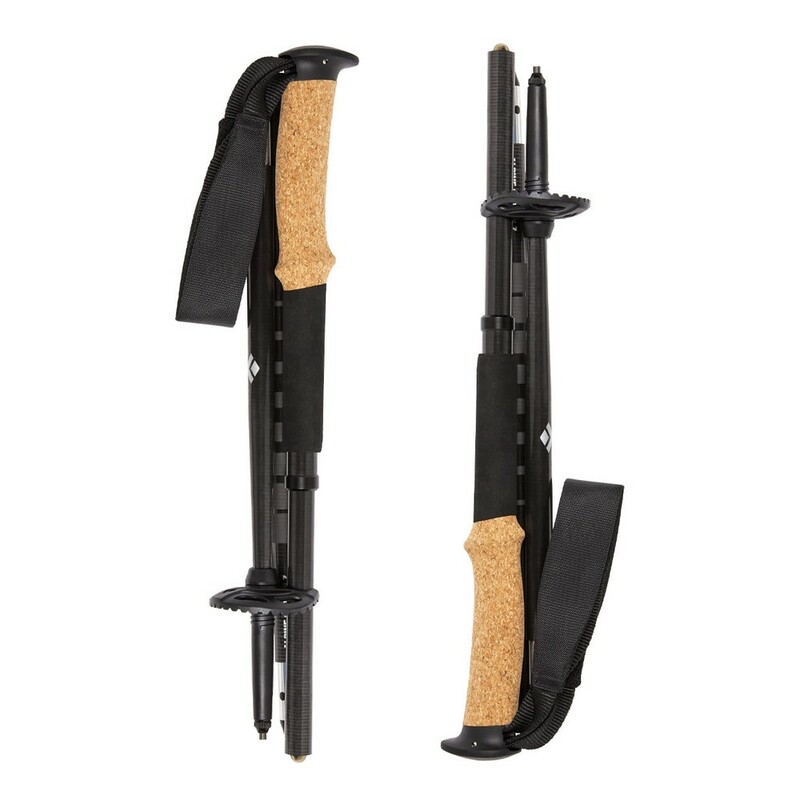 These innovative trekkings poles are also super comfortable on the hands with its natural cork grip.